Blockade outside of Thessalon FN. 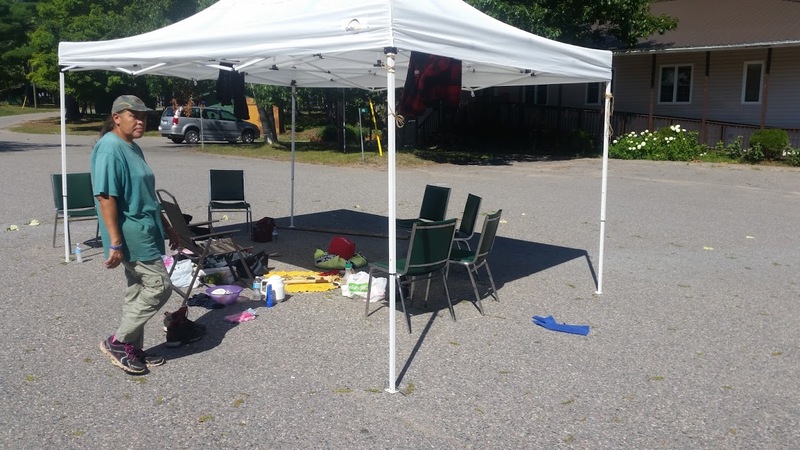 A determined group of members from Thessalon First Nation blocked the route into the Thessalon First Nation Band Office Tuesday, to raise awareness for issues, they say continue to plague the First Nation Band. Early this morning, the protesters blocked the road leading into the Band office. Wabigwan said they stood outside all of the doors to the band office and blocked access to anyone trying to enter the offices. 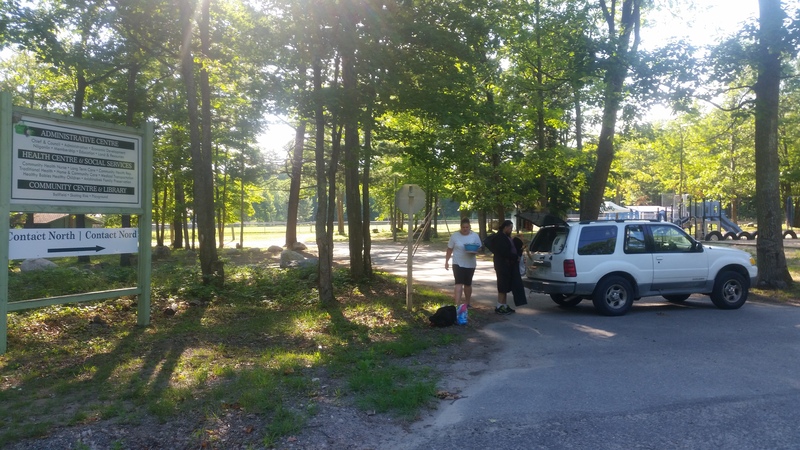 “We don’t have access to the list of members of Thessalon FN, both on and off Reserve. 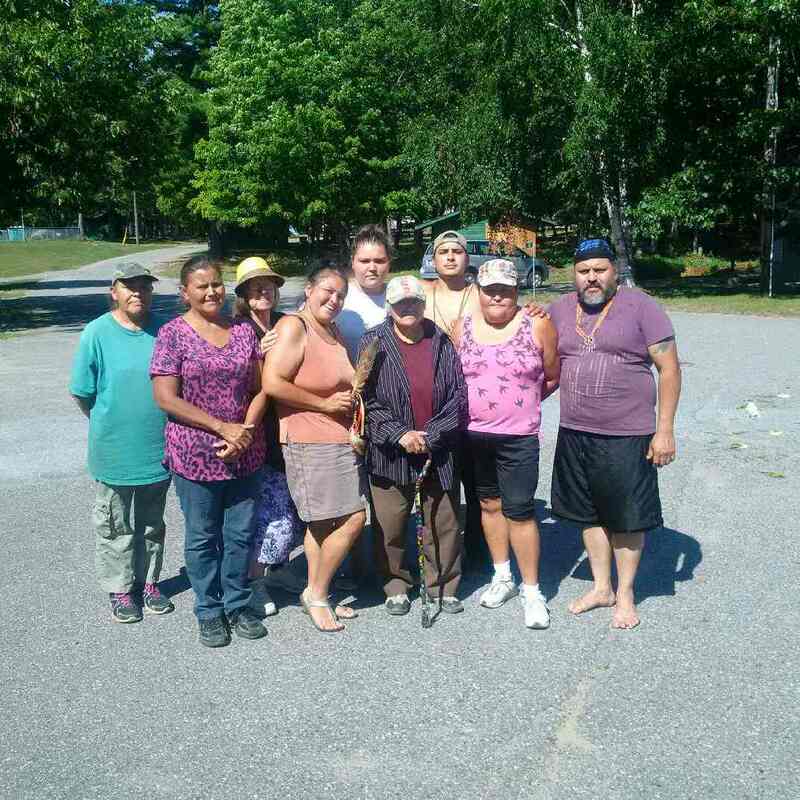 When we requested the membership list, we were told that confidentiality prevented them from giving it to us.” Wabigwan had wanted to reach out to band members, to rally support and mobilize Thessalon FN citizens. Wabigwan told saultonline that “an imbalance exists where one family name continually dominates proceedings and decisions made regarding the Thessalon First Nation. It’s never going to change, unless we come together to make it happen.” he said. Wabigwan said, “Victoria Wabigwan, is the one lone voice we have on council that isn’t related to the rest of the Band Council.” He further stated there are continual and ongoing challenges for Band Councillor Victoria Wabigwan, who’s voice, he says, is constantly quashed by a majority of members who are all from within the same family. Alfred Bisaillon is Chief of Thessalon First Nation. The website shows 5 individuals as Band Council members. “The only way I know left to us for access to transparency, and become enlightened about things that they are actually doing to improve the lives of our members, is to hold this protest. One side of the family gives all the jobs to their direct relatives. My dad lost his job recently, and then they turned around and gave his job to their cousin.” shared Wabigwan. Saultonline was unsuccessful in reaching Chief Alfred Bisaillon by telephone for comment.